Your are invited! Ice Cream Social! 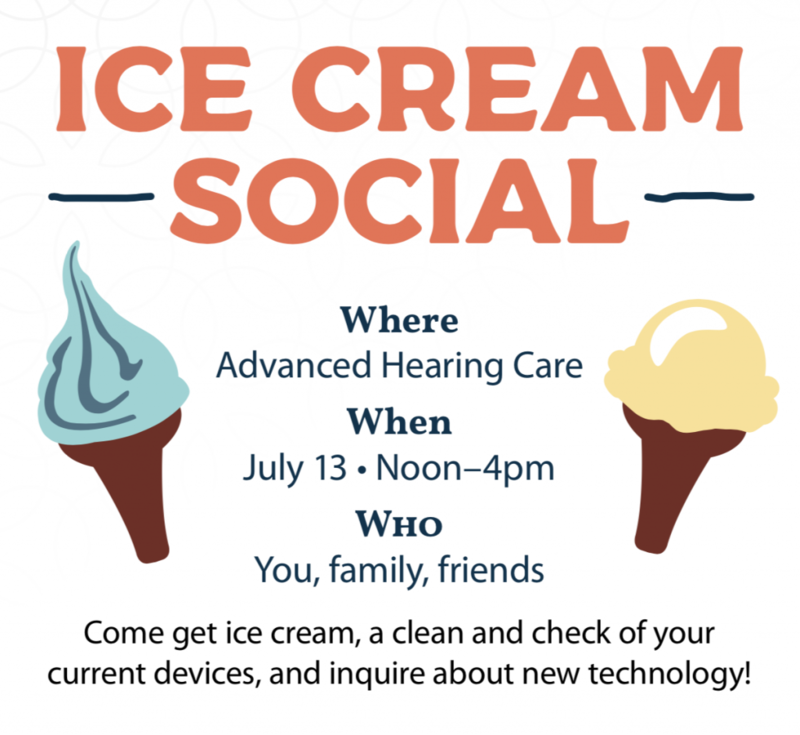 Come get ice cream, a clean and check of your current devices, and inquire about new technology! It is our 10th birthday celebration! It is amazing how the years have flown by. We feel so blessed that our patients have continued to support us. We love what we do and have such joy in helping people hear better and reconnect with their families more and more every day. There have been lots of changes along the way, especially our new office location in downtown Bartlesville. And let’s not forget the technology changes that continually keep us learning about newer devices that help us more. We hope to see you all this Friday, October 14th for our come and go birthday celebration from 10-4 that day. Cake and goodies provided and we can’t wait to see you all. Join us on December 4 and 5, 2014 at 9am to 4pm. Rediscover joy and put laughter back in your life! The opportunities for better hearing have never been better, and there are more discreet and comfortable hearing aid options than ever before. The newest devices offer sleek and comfortable technology choices that conform to the shape of yoru ears do deliver sound as naturally as possible. Feedback cancellation, voice recognition, and a strong battery life are just a few of the features these devices offer in helping you experience better hearing conveniently, effectively, and discreetly. As AudigyCertified professionals, we know that you are looking for the absolute best in hearing care. Our entire team works to provide you with solutions specific to your own personal lifestyle and hearing situation. If your solution is a hearing system, our AGX advanced digital hearing instruments provide superior performance, comfort, and, in many cases, a nearly invisible appearance. Plus, our affordable payment options make better hearing attainable. Your hearing treatment plan is so much more than technology. It is our philosophy that when you hear well, you live well. Our team will give you the tools, advice, and personalized care to truly achieve better hearing. Call today to schedule an appointment during our “New Year, New You!” Better Hearing Event, continuing through January 25th, and take advantage of our $500 First-Time User Credit* or our $500 Trade-Up Allowance*. Don’t wait to hear what you’ve been missing! *Offers good toward the purchase of an AGX5, 7, or 9 two-device hearing system and cannot be combined with any other promotional discount. Make the Most of this Christmas! From our family to yours, have a Happy Holiday! Take turns opening presents. Make a game out of it for the little ones who are anxious to dig into the goodies. If there’s only one person to focus on, it makes it easier for a person with hearing loss to hear and understand what’s going on. The background noise is minimized and there aren’t three or four focal points competing for attention. Have the person with hearing loss sit in a central location of the room in which you’re opening presents. If you have hearing loss, make sure that you can see as well as hear each person. Don’t sit on the floor or a low stool or ottoman because that will make it harder to see things above your plane of vision. Make sure that the rooms or areas where you will eat and open presents are well-lit. People who have hearing loss, whether they wear hearing aids or not, tend to fill in SoundVoid gaps with visual contextual cues. Good lighting makes it much easier to do this. If you have hearing loss, place yourself in a strategic location at the dinner table. A great place is at either end of a rectangular table. At a round table, sit closer to the people who tend to speak more softly. 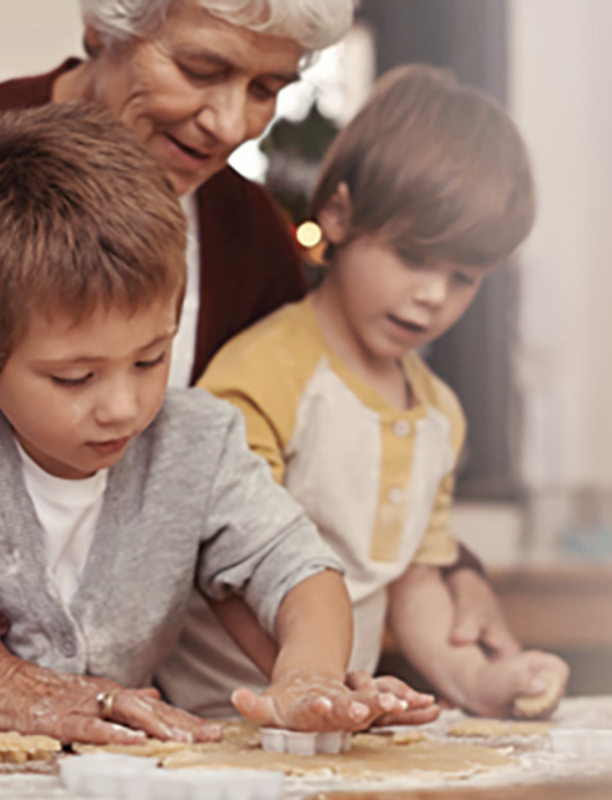 With just a few tricks, the holidays can be a joyous and magical time for everyone, including family members who struggle with hearing loss. For more tips on improving communcation, see our Communication Tips page. For more information on hearing loss or to schedule a comprehensive hearing test, contact us today. Don’t wait to hear what you’ve been missing!